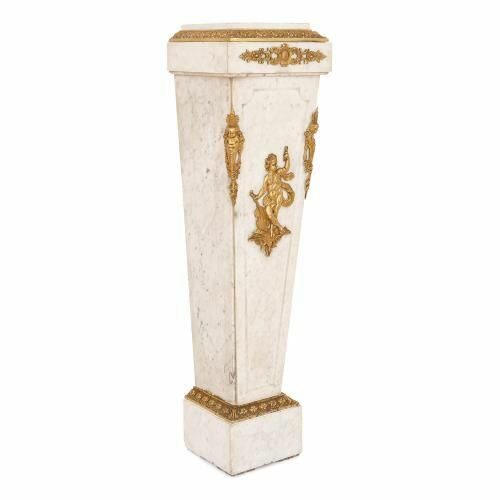 This stunning French ormolu and marble pedestal captures the grace and elegance of the Neoclassical style in a neutral yet luxurious colour palette. 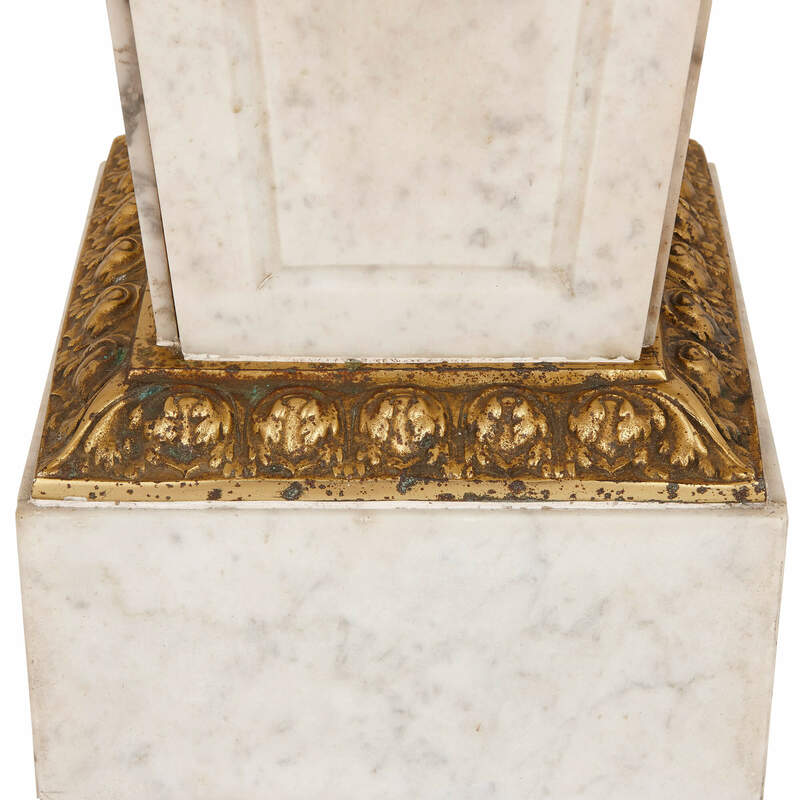 The pedestal is crafted of white, lightly veined marble in an elegantly tapered square-form. 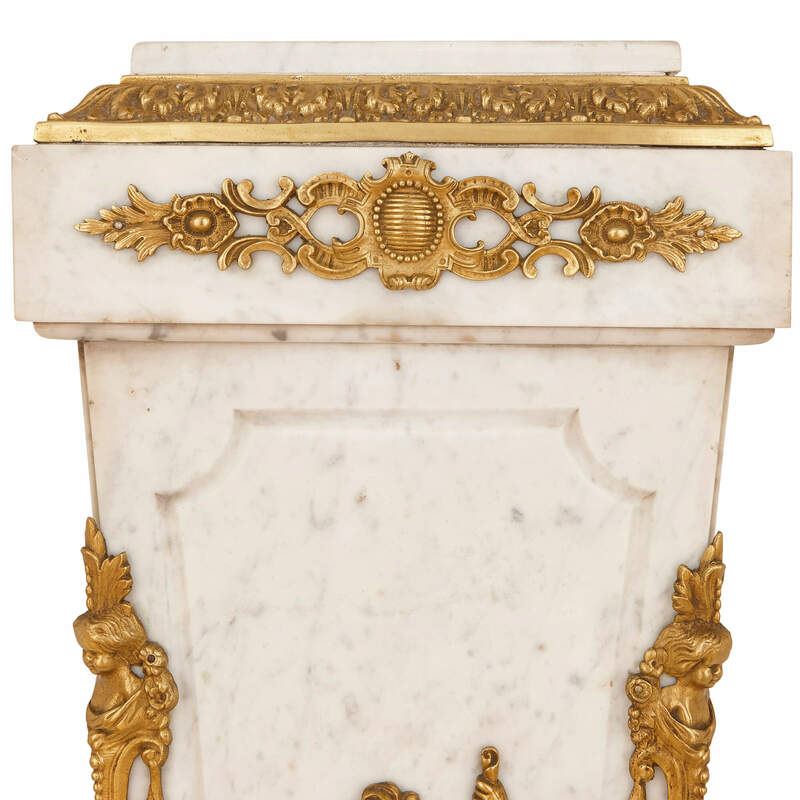 The front of the pedestal is mounted with an ormolu cherub figure holding a stringed musical instrument (possibly a violin or cello) and a scroll, flanked by further ormolu mounts of putti to either side, and a further decorative ormolu mount above. 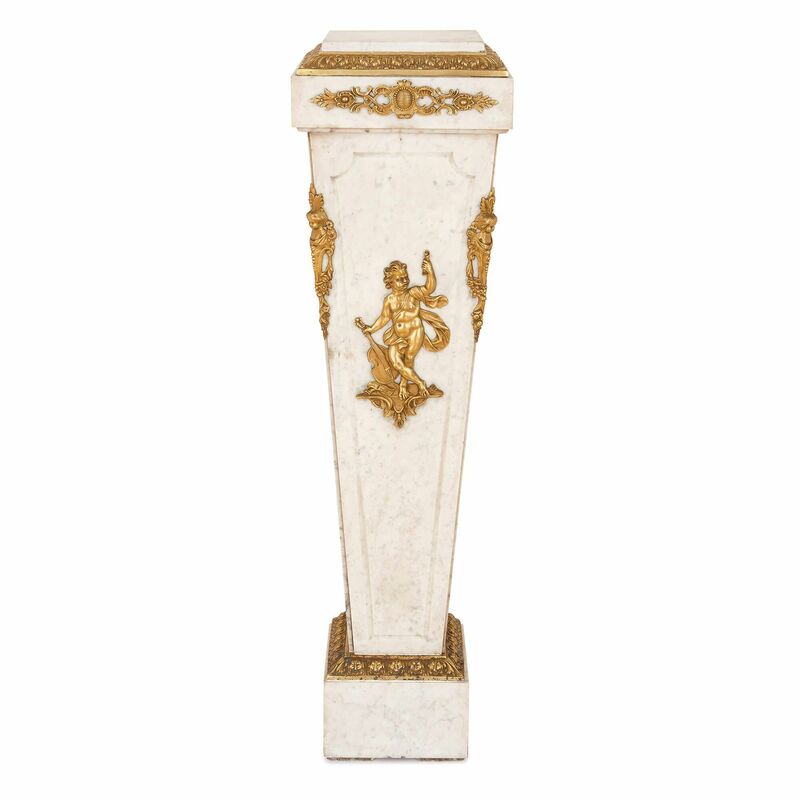 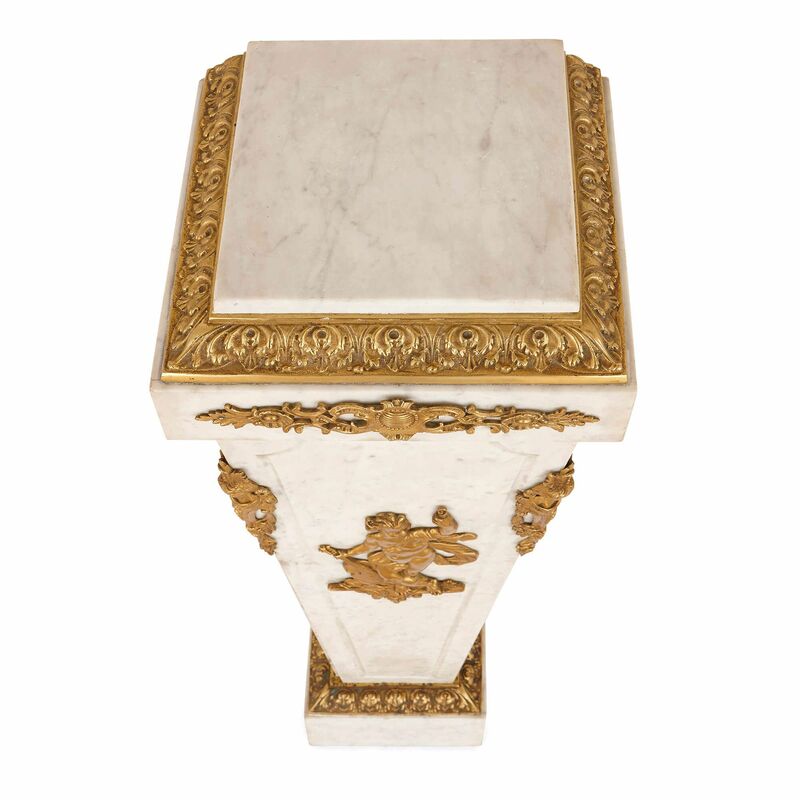 The stepped base and top are further enhanced with ormolu banding in the form of repeating foliate motifs. 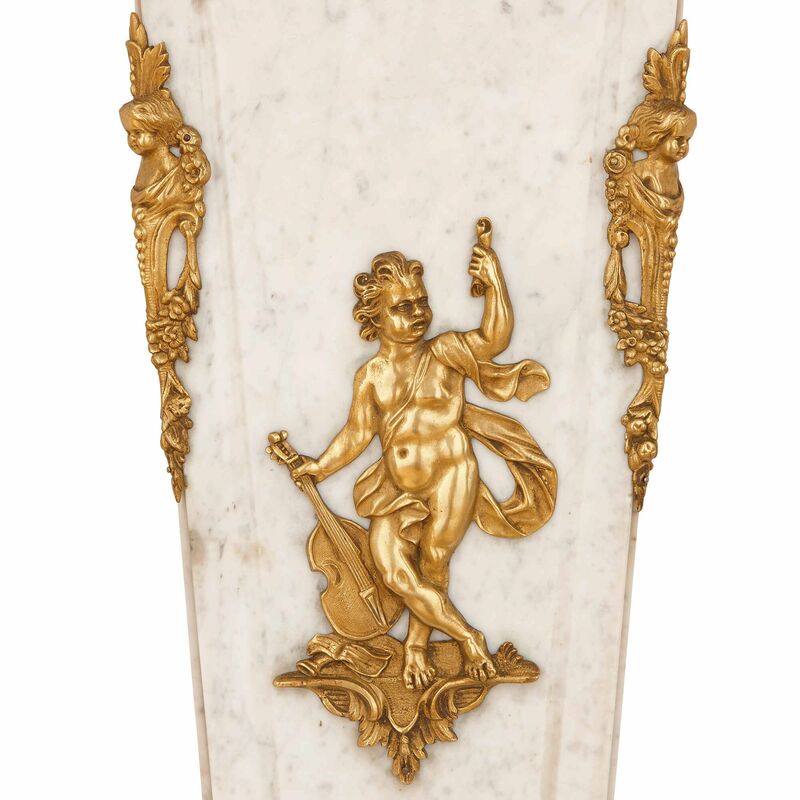 France is celebrated for its excellence in the decorative arts, and this fine, early 20th Century pedestal is a testimony to the beauty and elegance of French works of past centuries.